Multi-instrumentalist Chand K. Nova has a growing audience of everyday people who appreciate true talent and good music. 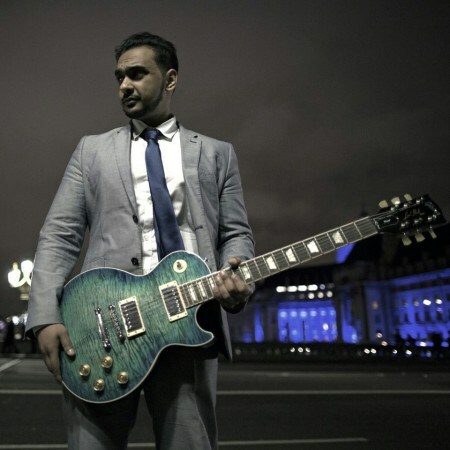 Based in London, the award-winning Nova’s primary instrument of choice is the guitar. As a composer, he is known for his transcendental, yet compelling sound. Nova uses the guitar as a lead vocalist, allowing the voice of his instrumentation to speak to the souls of all those who enjoy the enchanting melodies he’s produced. Uncuffed, Nova’s new five-track EP, is some of his best work to date! Nova takes a brighter musical approach in Uncuffed than some of his earlier projects. Uncuffed has a strong flame of classical guitar laced tracks. Fans of the legendary Piero Umiliani will find some of the EP’s tracks like El Chando and Kingdom Come unique in their structure and execution. Amazingly, Nova has developed an EP where each song can stand on its own. When the album is played in sequence you’ll find that every song is important as the track before and after it. Other selections like, The Cost of Freedom and the EP’s title track, Uncuffed, are destined for mass appeal as it crosses over the boundaries and limitations of its own genre. Uncuffed ends with a fabulous track, entitled, The Beginning of the End, which turns out to be an exceptional display of Nova’s skill as a guitarist. While the song is somewhat reflective, Nova uses his guitar to paint the language of beauty, inspiration, and an approaching stage of happiness in our hearts and minds. Uncuffed epitomizes the freedom we acquire through the joy of listening to music.